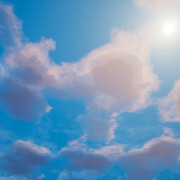 Fast Stylized Procedural Sky is a unique dynamic sky material and advanced weather system that is perfectly balanced between quality and efficiency. Designed and optimized specially for Mobile, Virtual Reality and stylized PC/Console games. Over 40 parameters to customize sky - hardness, density, distortion, shadow, color, scattering color, moving speed, lightness, ambient and much more. GPU friendly works efficient even on VR Mobile platform. (LESS than 140 instructions! and ONLY 3 texture samplers used!) Small memory usage and fast loading. Clouds lighting with scattering and shadows changes depending on sun position. Static background clouds and stars layer. Configurable shiny sun and moon. Atmospheric sky gradient with tilting in sun direction. Customizable automatic clouds UV calculation. Moon normal-mapping and lighting calculated based on relative sun and moon position. Sky parameters loaded from curves/manual settings and blueprint functions. Supported wind direction and clouds speed. Smooth transitions between weather states based on preset system. Last edited by ImaginaryBlend; 11-10-2017, 11:17 AM. I'm really into this package. Looks like a nice job. I saw on your road map. "Scalable day and night duration" for me this is key. All of these day night cycle systems just do a 12 hour day night cycle. Even scaling it is a lot of realism. In my case that totally UNneeded, and infact I dont want it. I would image in a lot of games are the same way. What really is needed just 4 states. Daytime, Night transition,Night, Daytime transition. All of which could be called in games based on events, with some natural-ish transition. Since you are running it on a clock I'm betting its going to be hard to set that up. Still, if you could get that into your system I would buy it in a sec and I think others would love it too. I'm interested to hear if this is feasible. GameMaster79 I'm going to add function to interpolate time of day to desired hour in some definied duration. It would be sufficient for your needs? Last edited by ImaginaryBlend; 11-14-2017, 04:00 PM. Yes! It works fine with forward rendering. 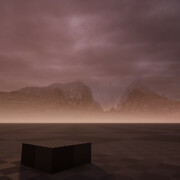 Sky is rendered as one skydome mesh with material that is Unlit and uses only emissive color as output. Last edited by ImaginaryBlend; 11-15-2017, 07:06 AM. Any chance this works on 4.17? I'm waiting to upgrade my project to 4.18 until a few other plugins are updated. either way, looking forward to trying this sky system! You have to add a way to choose your Exponential Fog, just like UDS does. This sky system looks amazing! i absolutely LOVE this system for being more centered for Mobile devices. Very excited about that. Are the weather features Dynamic? 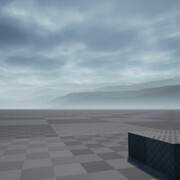 Weather is dynamic you can prepare your own weather preset and change from blueprint or by random. Any chance this works on 4.17? Last edited by ImaginaryBlend; 11-16-2017, 06:17 PM. Do you have day/night cycles in this project, @omnomnomkoks ? I am wondering because in my VR project I have to have stationary sky light and stationary directional light (I have to double check, but I think dynamic directional light was too performance taxing). Also, my directional light is inside a BP actor. I have it setup this way to achieve anime/toon shading in materials. So I am wondering how your system (if you have it) would work with my setup. 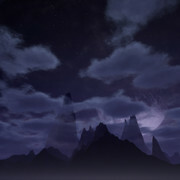 - Static landscape backgrounds interleaved with clouds (3 example backgrounds added to package). - Height fog interaction and sky light recapture frequency. - Sun eclipse and stars scintillation added. - Stars/Moon Brightness multipliers added. - Time control function (set time with transition duration and ease function). Interpolation function for weather transition added. - Presets can change scene lighting, it's dark when cloudy weather is selected. Nevermind - I was able to update my project to 4.18.1 and bought your sky package. Looking forward to integrating it into my game!